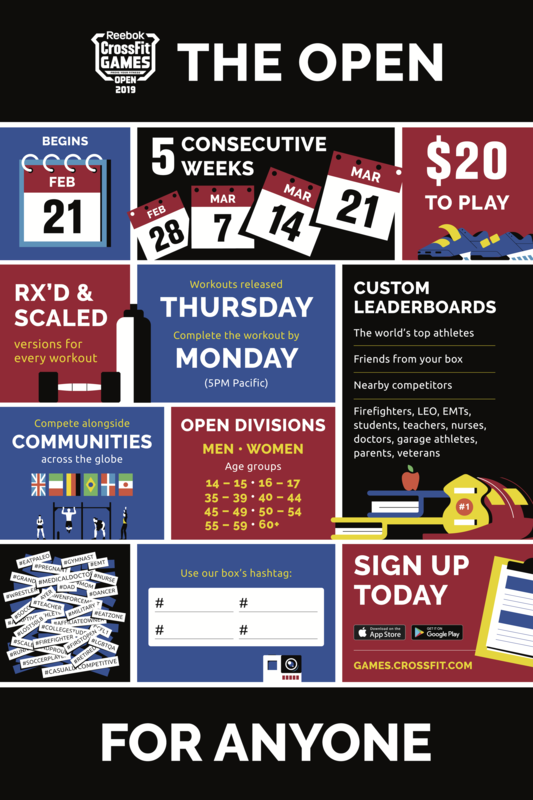 Download your copy of this 2019 Reebok CrossFit Games Open poster in English, Spanish, German, French, Chinese, Italian and Portuguese. Use the links below for the print-quality PDF. *International prints will be updated when available.